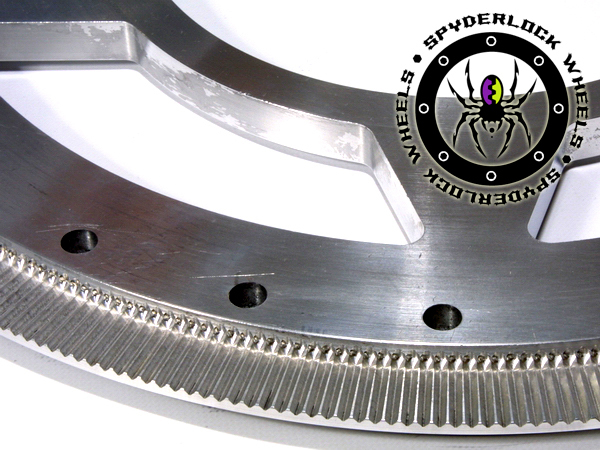 The Spyderlock bead lock wheel was designed and developed by Clifton Slay *. 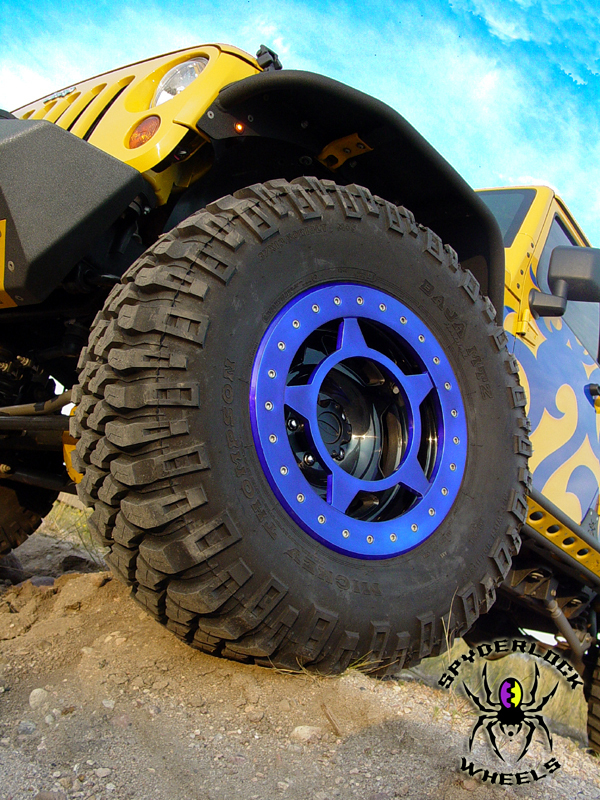 This off road wheel presents a new insight in bead locks for the rock crawling and racing community, an advanced bead lock to dominate the ever escalating level of recreational and professional off road sport. 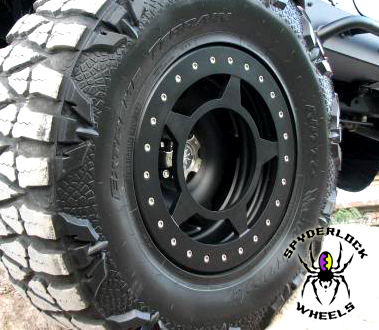 Spyderlock bead locks have many innovative attributes that insure it's place as the premier rock crawling/racing inspired wheel. 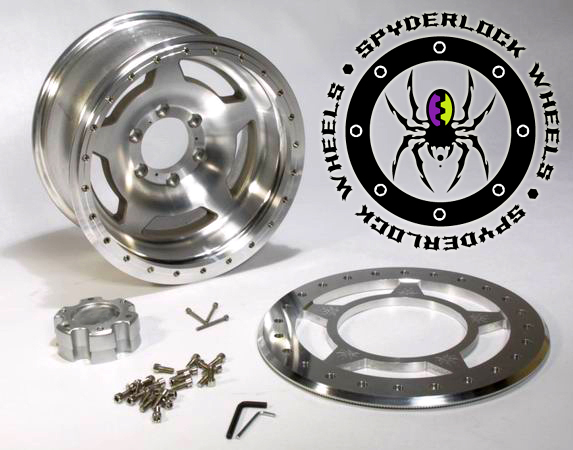 Spyder Lock bead lock wheels are cast from A356-T6 aluminum with a inner bead reinforcement incorporated into the design with a 3,200 lb. load rating. Both the wheel and bead lock ring are machine finished. Wheels come disassembled and ready to mount your tires. 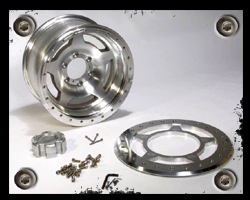 Each wheel includes: aluminum wheel, aluminum ring, threaded ring mounting inserts, hardware, center cap, valve stem and installation instructions. 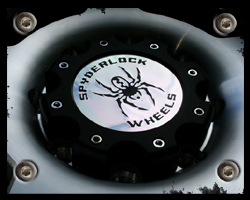 Designed to fit over large-bore hub configuration, the signature Spyderlock center cap mounts in place using three recessed allen head bolts. Apon request a fitted extension ring to clear longer hubs is available. 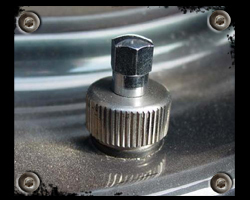 Spyder Lock bead lock wheels use a replaceable threaded mounting insert to ensure ease of thread replacement should any threads become damaged. Bead lock Mounting surface is cast directly into the wheel to ensure wheel integrity and an even mounting surface. The bead lock ring is crafted from billet 3/4" 6061 T-6 aluminum and machine polished. The bottom side has a unique vertical ribbing to prevent rotational tire slipping. Grade 8 zinc plated 3/8" socket head hardware is standard on all Spyder Locks. 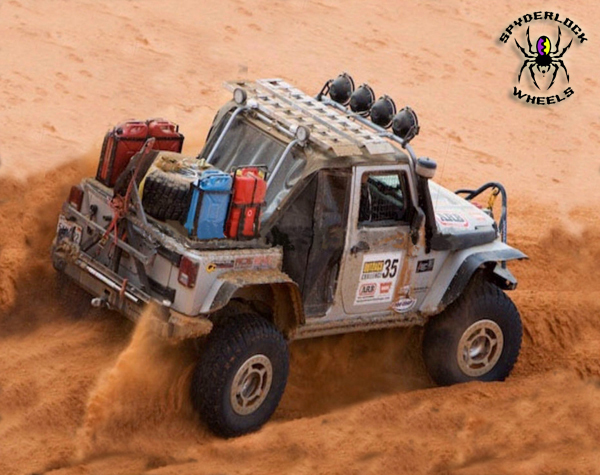 All of the hardware is completely counter-sunk into the mounting ring, protecting the bolt head from rock-rash. 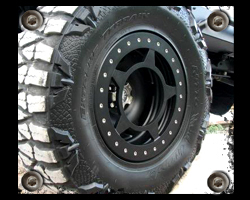 The valve stem is included with the bead lock wheel and is completely protected from trail obstacles by the expansive bead lock ring. 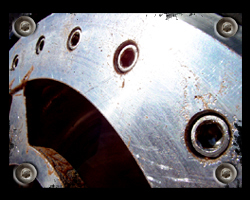 The width of the bead lock ring also aids in protecting the hub mechanism from trail damage. 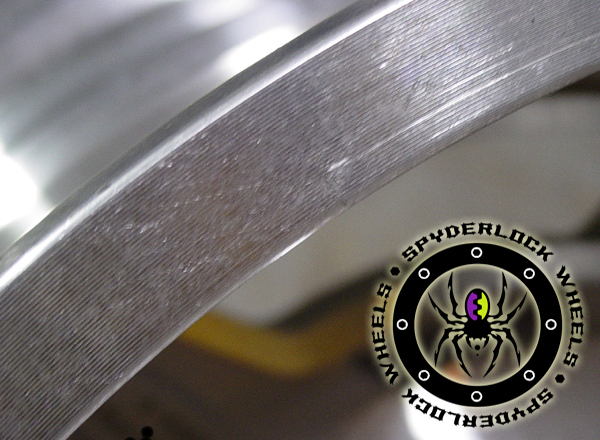 The inner bead retention ridge is an exclusive feature to the Spyderlock bead lock wheel. This bead retention method was originally inspired by the street drifting community to maintain inner beads while sliding sideways on the pavement. 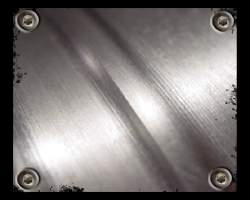 A focused edge is machined into the inner bead retention ridge, helping to lock the inner bead in position. This assists in the prevention of air burping and ultimately losing inner bead cohesion during side loads. 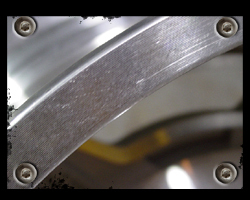 The edge of the outer diameter of the inner wheel is traditionally the weakest point of a bead lock wheel. 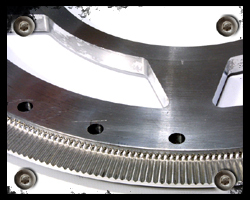 The front of the wheel has a built in reinforcement with the bead lock ring and it's mounting platform. 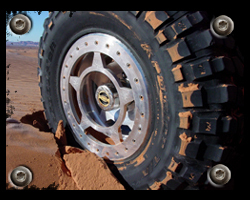 Typically the inner bead is ignored and prone to bending or cracking during severe off road impacts. 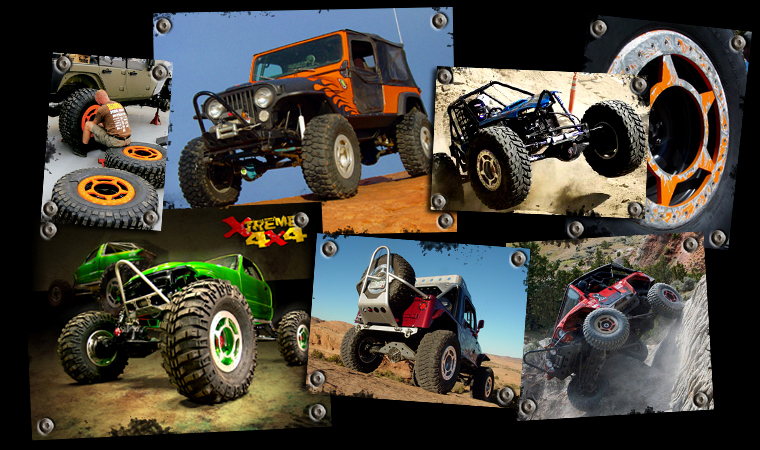 This has especially been more of an issue as off road wheel popularity has evolved towards larger wheel diameters. 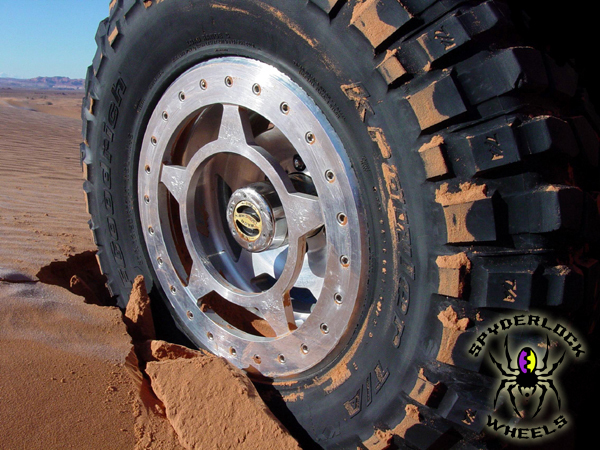 Exposing the wheel to more direct impacts when used in conjunction with shorter side wall tires. 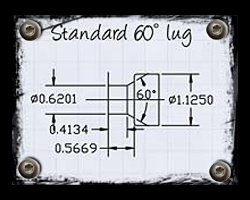 This element of bead lock design has not been ignored by American Rock Rods. 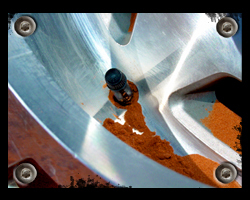 Our inner wheel lip is heavily fortified, thicker and wider. This burly inner lip can take some serious punishment. 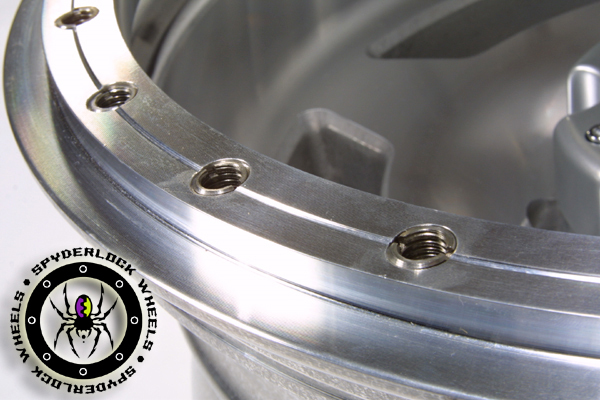 The Spyderlock bead lock wheel's outer clamping ring is not designed simply as aesthetic form. 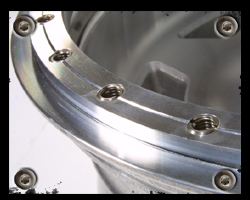 The machined star shape acts as an inner brace preventing flex and deflection of the clamping ring. 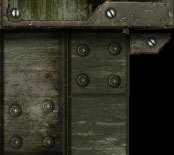 This added rigidity combats loosening and failures of the securing bolts. With an additional attribute of shielding and protecting the hub against trail damage. BEAD LOCK RING: Spyderlock bead lock rings can be ordered with powder or anadization. Rings can be powder coated satin black or metallic grey. If you choose anodization, red, blue, black, yellow, green, purple or orange can be done for a unique and striking look. The finishes are optional as the bead lock ring already comes with a machined finish in it's natural silver appearance of aluminum. Please allow 7 to 10 days additional before rings and wheels are shipped as we do not pre coat or anodize bead lock rings. 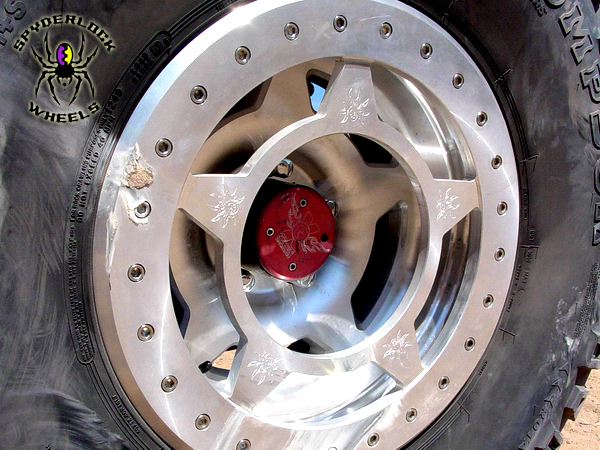 Powder coat carries a 1 year warranty under normal usage, which does not include rock rash. 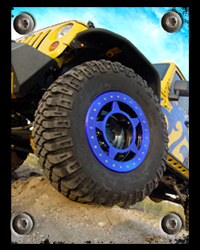 Anodization has a 3 month warranty and will fade with prolonged sun exposure and mud abrasion. This warranty is also not inclusive of rock rash. 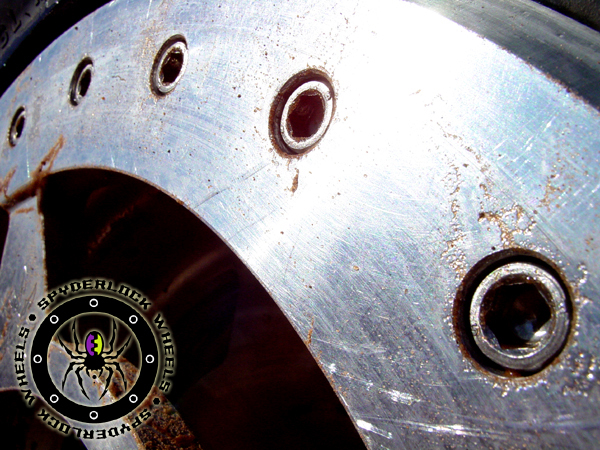 For more information and images pertaining to these options please visit the Spyderlock bead lock wheel home site. Either process adds an additional $40.00 per ring. 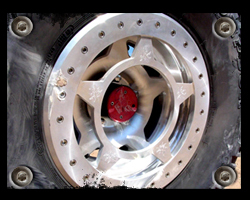 BEAD LOCK BASE WHEEL: Spyderlock bead lock wheels can be ordered with two powder coat finish options. Metallic grey or satin black. 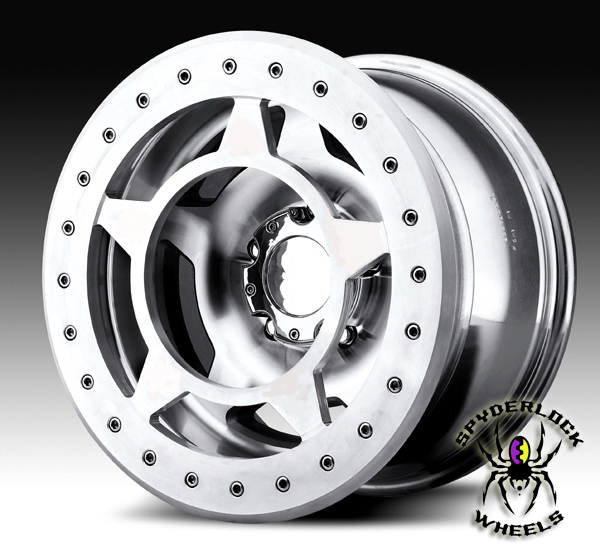 The powder coat finish is optional as the wheel already comes with a machine finish garnishing the bead lock's aluminum construction. To complete this process we first sand blast the Spyder lock to promote a positive adhesion. Then apply the powder coat finish. Please allow 7 to 10 days additional before shipping, as we do not pre-powder coat wheel sets. Powder coat carries a warranty of 1 year under normal usage. This does not include rock rash. 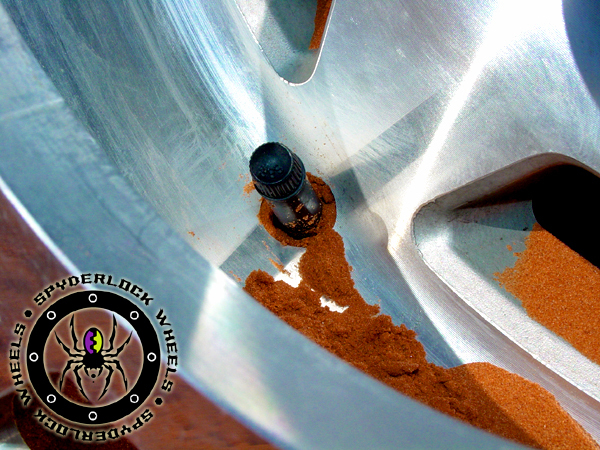 For more information and an album displaying powder wheels, please visit the Spyderlock website. Add an additional $90.00 per wheel for this process. All wheels are cut for a standard 60 degree acorn lug nut. 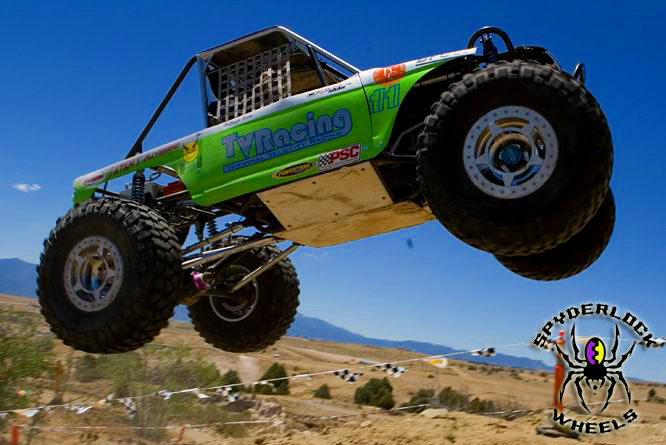 Race applications for specialty axles are available. Click HERE for further information. 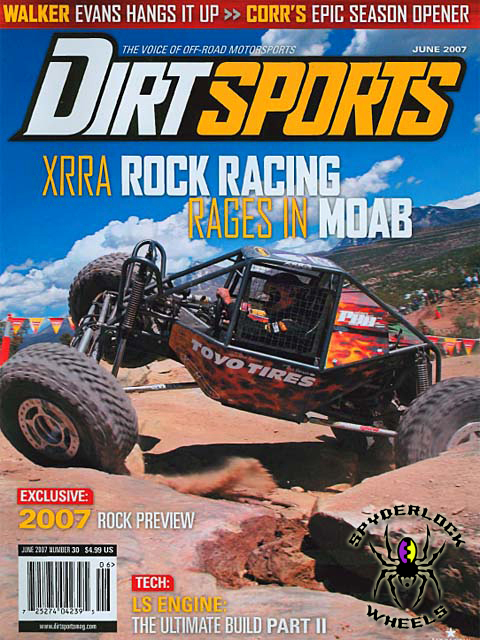 Spyder lock bead lock wheels made their competition debut in the 2007 XRRA rock racing opener at Moab, Utah. 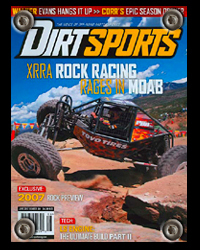 Quote from Rick Deremo Team #33, Xtreme Motor sports "We used the new spyder locks at the first XRRA event in Moab. These bead locks are by far the best on the market. 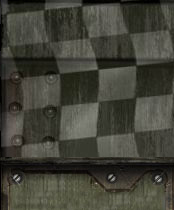 We hammered them and they held up to our abuse. 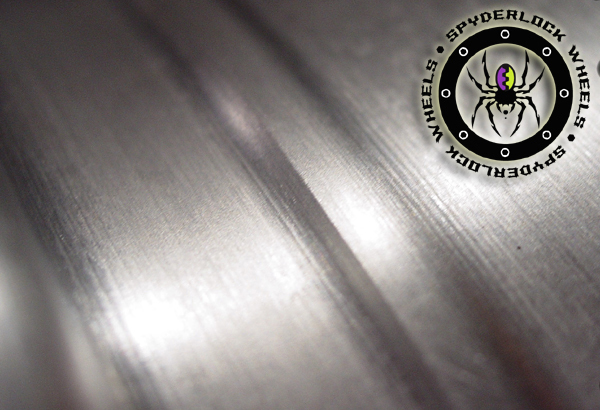 No other Wheel that we have ever used held up like the Spyderlocks have. 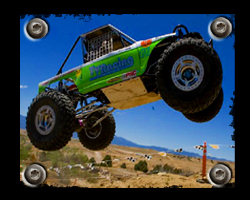 We slammed into some rocks hard enough to jar my teeth, before when we did this we always either bent or broke a wheel. Clifton and the crew at American Rock Rods, our hats are off to you for building a wheel that can handle the abuse that the XRRA dishes out". 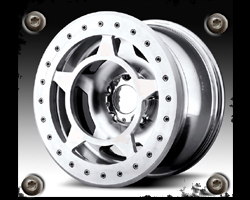 Click on the icons below to see individual size specifications and applications for 15", 17", 18" and 20" wheels. * December 2010 Clifton And AJ Slay dissolved their relationship. 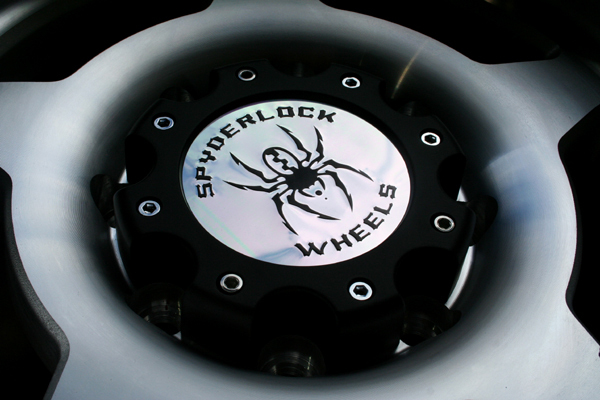 Although Clifton was the original caretaker and designer of the Spyderlock Wheel , AJ now oversees manufacturing and quality control under a separate entity, Spyderlock Wheel LLC. However, American Rock Rods will still continue distribution of the beadlock.